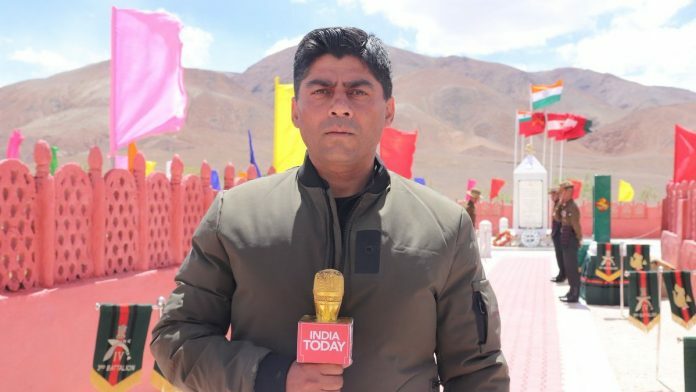 New Delhi: Two journalists have accused India Today TV executive editor Gaurav Sawant of sexually harassing them, the latest #MeToo allegations against a senior media personality. The first allegation was made by Vidya Krishnan, who last worked as the health and science editor of The Hindu newspaper and is a regular contributor to The Caravan magazine. The November edition of The Caravan reported that Sawant allegedly harassed Krishnan in 2003 while on a reporting assignment to Beas, Punjab. Krishnan, who worked for The Pioneer at that time, was the only female journalist on that trip. On Tuesday, Kanika Gahlaut, another senior journalist, tweeted that Sawant had targeted her about 10 years back when she was attending a day-long conference. Sawant did not respond to calls and messages from ThePrint seeking his comment. In a tweet Monday evening, Sawant had called Krishnan’s allegations baseless and said he would take “full legal action”. The Caravan report quoted Krishnan as alleging that Sawant had touched her inappropriately while she was travelling by jeep along with a group of journalists. Though she had tried readjusting her position and made it apparent that she was uncomfortable, he had persisted, she alleged. Krishnan said later that night, Sawant had texted her and wanted to come to her room. Despite resisting his advances, Sawant was at her door and had let himself in, Krishnan alleged. He went on to sexually harass her despite her insistence that his advances were not welcome. She says she felt overpowered by him. He reportedly left the room when she screamed. The report said that Krishnan had spoken to her boyfriend about the alleged incident, who confirmed it to The Caravan. Krishnan said she did not know if an internal complaints committee existed at the time, and was reluctant to approach Chandan Mitra, the editor of The Pioneer at the time. ThePrint reached Krishnan for comment but she did not respond to calls and messages. Sawant’s employer India Today, in a statement to NDTV, said while The Caravan article was “distressing”, it was “in no position to comment or investigate the matter since Sawant was not working with the organisation at the time of the incident”. It did, however, say it had asked Sawant to provide an explanation. Raheel Khurshid, a former journalist and now the country expert for India at Snap Inc, tweeted that Krishnan had confided in him about the alleged incident three years back. Gahlaut tweeted that Sawant had lunged at her when she was attending a “group conclave” and was looking for a place to smoke. She was working with Mail Today, a newspaper of the India Today Group, at the time. Sawant was with Headlines Today, as India Today TV was known earlier. “The unwelcome advance was physical, which was a bolt out of the blue and out of order, which is why I tweeted about it,” she added. Last month, in the aftermath of sexual harassment allegations against former editor-turned-politician M.J. Akbar, Gahlaut had said that as someone who worked with Akbar, she too had heard about his “reputation” and did not turn up for a breakfast meeting invitation by Akbar. She had said Akbar did not mind and never bothered her after that. Subsequently, she also wrote in ThePrint that Akbar was not the only predator and sexual is not the only harassment women journalists face.